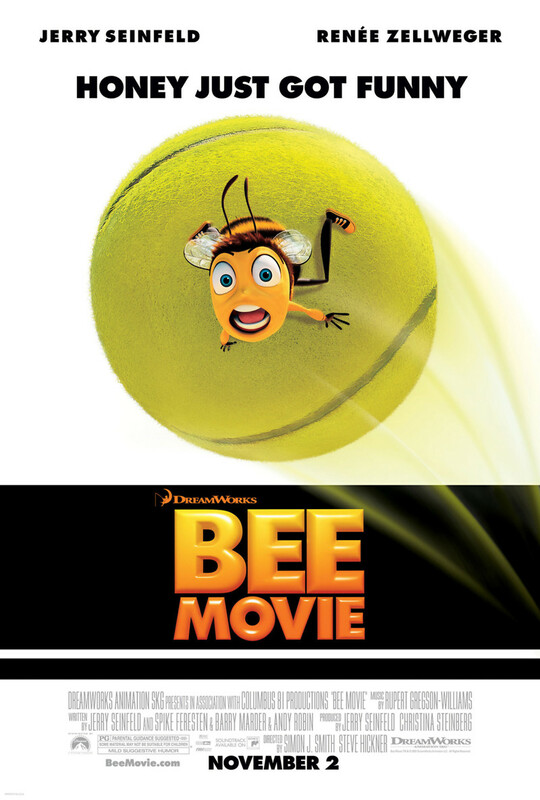 Jerry Seinfeld wrote and starred in the computer-animated movie "Bee Movie," which focuses on a bee named Barry who is dissatisfied with the monotonous nature of traditional bee life. He yearns for wider opportunities, and he gets them when a trip outside the hive leads him to New York City and a close friendship with a florist named Vanessa (Renee Zellweger). It is here that he devises his plan to sue humanity for its unauthorized use of honey. This film is part quirky comedy and part environmental statement. It encourages its viewers to think about the interconnectedness of species and to stop wanton materialism and exploitation of natural resources. It also features the vocal talents of Matthew Broderick, Patrick Warburton, John Goodman and Chris Rock.